If you have ever wondered what all the fuss and opposition to fracking is about, then mark your calendar. On Wednesday, July 23rd Dr. Sandra Steingraber is coming to San Francisco, CA. For years, renowned activist and author of several books including Living Downstream and Raising Elijah, Sandra Steingraber has been on the front lines of investigating the connections between breast cancer and the environment, and has been an irrepressible opponent of fracking from coast to coast. We are thrilled to host Sandra, along with other Bay Area health professionals, at a forum about fracking’s impact on public health in California. We hope you will join us! What: “How Fracking Impacts Public Health” with Sandra Steingraber, Ph.D. Event will be livestreamed starting at 5:45 PDT at http://earthstreammedia.com/. 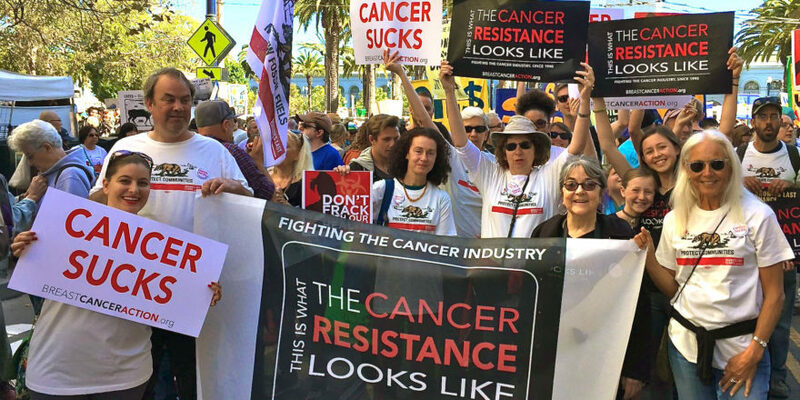 This event is sponsored by Breast Cancer Action, Center for Environmental Health, Physicians for Social Responsibility, Americans Against Fracking, Californians Against Fracking, the Alliance of Nurses for Healthy Environments, and the California Nurses Association. This community event is free and open to the public – please RSVP for the event, and invite your friends! We look forward to seeing you on the 23rd for this important public forum. P.S. Learn more about the connection between fracking and breast cancer on our website.